Along with its Xperia Z4 Tablet announcement at MWC, Sony unveiled a set of accessories including this adorable little thing. 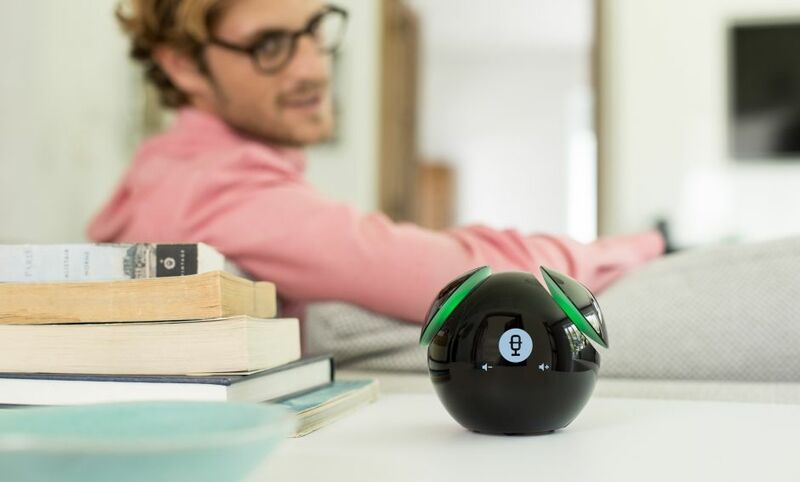 Officially dubbed the "Smart Bluetooth® Speaker BSP60," this round black ball that slightly looks like Mickey Mouse's head if his ears were squashed (or the 8 ball in pool, or the pendulum's head in Beauty And The Beast, or maybe a black version of Eve's head in Wall-E) is an alarm, a 2.5W Bluetooth speaker, and a voice assistant. 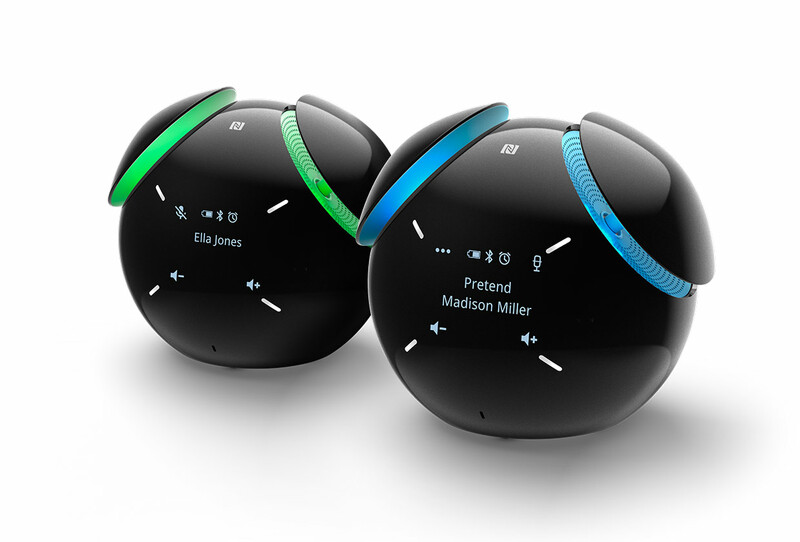 Used in conjunction with Sony's Voice Control Extension app, it can perform daily tasks such as setting alarms and timers, making phone calls, checking the weather, and more. 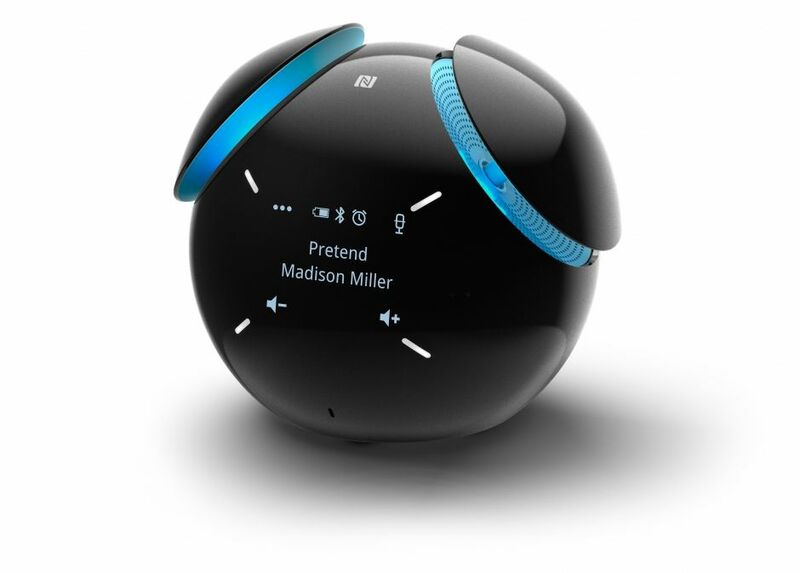 It doesn't seem like it will have access to more thorough searches a la Amazon Echo or Google Now, but like them, it can be activated from afar with an "OK Speaker," command thanks to its built-in microphone. The BSP60 comes with NFC to facilitate pairing and conference calls, but its selling point isn't its functionality as much as the design. First, as shown in the images, the actual speakers are revealed when the ear-shaped sections pop up and light diffuses in the middle. Second, it sits on small wheels that allow it to roll around flat surfaces. Did I hear you say adorable? Expect to pay a not-so-sweet €299 for this little thing when it comes out in the second quarter of this year. Yup, being cute isn't cheap.